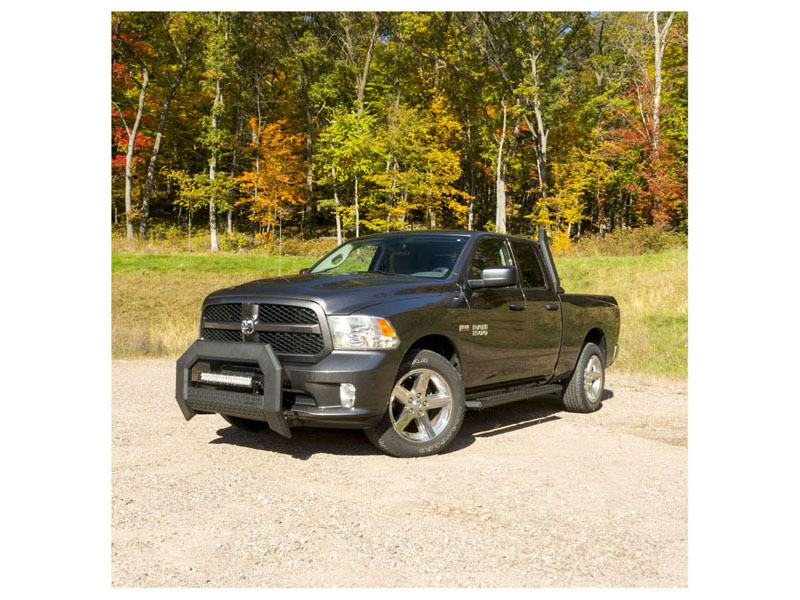 The Aries AdvantEDGE bull bar sets itself apart with a modern, angular design and all-aluminum construction. 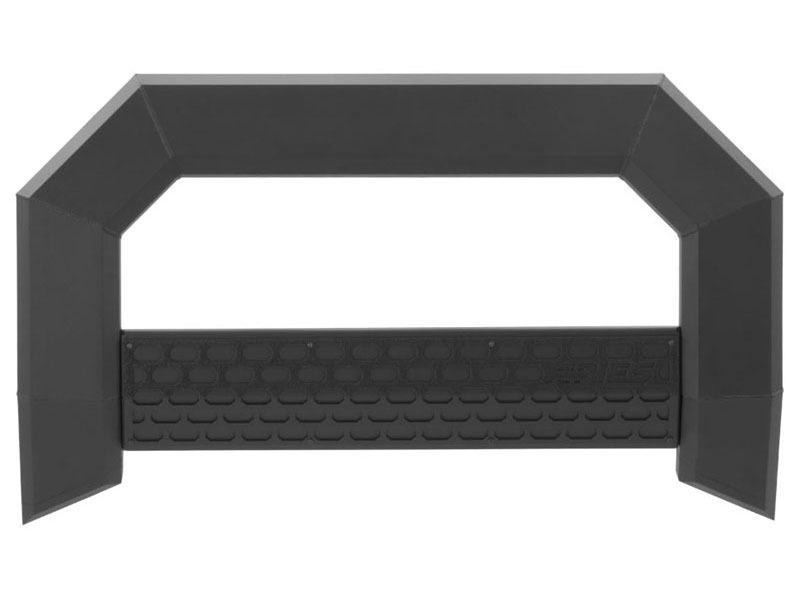 It features a track system for mounting auxiliary lights, vehicle-specific mounting brackets and is available in two finish options, allowing you to choose the look that perfectly matches your vehicle. Designed to complement the style of today's pickup trucks, the AdvantEDGE bull bar is as bold as it is tough. 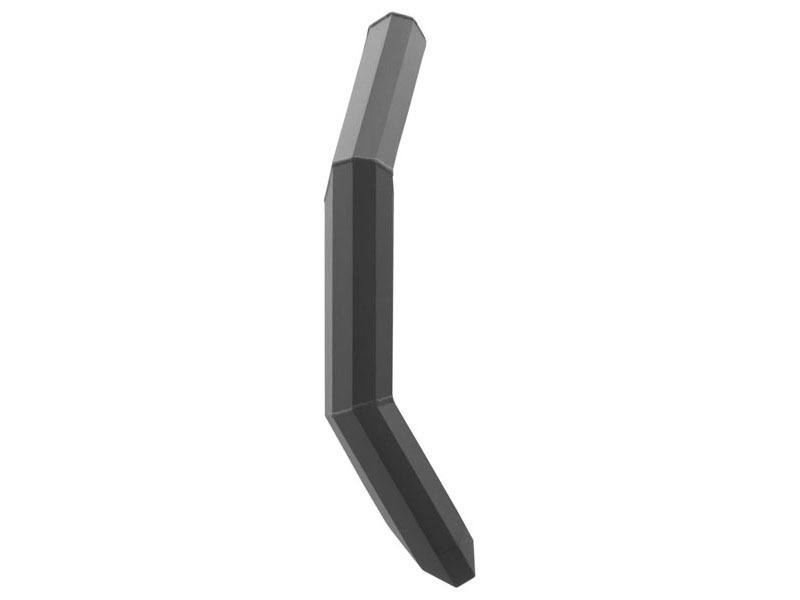 Instead of the common, rounded frame of most bull bars, AdvantEDGE features a unique, 5 1/2 inch wide, eight-sided tube profile. Not only does the angled frame better accent the design of modern trucks, but it also offers a strong build and the right amount of attitude. Like the AdvantEDGE headache rack and AdvantEDGE side bars, the AdvantEDGE bull bar is made entirely from aluminum, allowing it to be lightweight and rust-free. 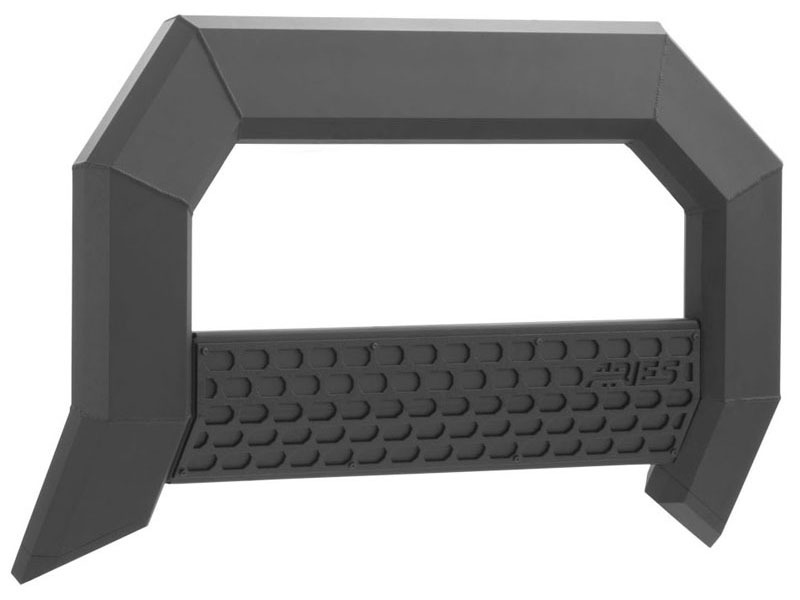 The tubular frame is welded together for a powerful design and protected by a durable finish of carbide black powder coat or chrome powder coat. 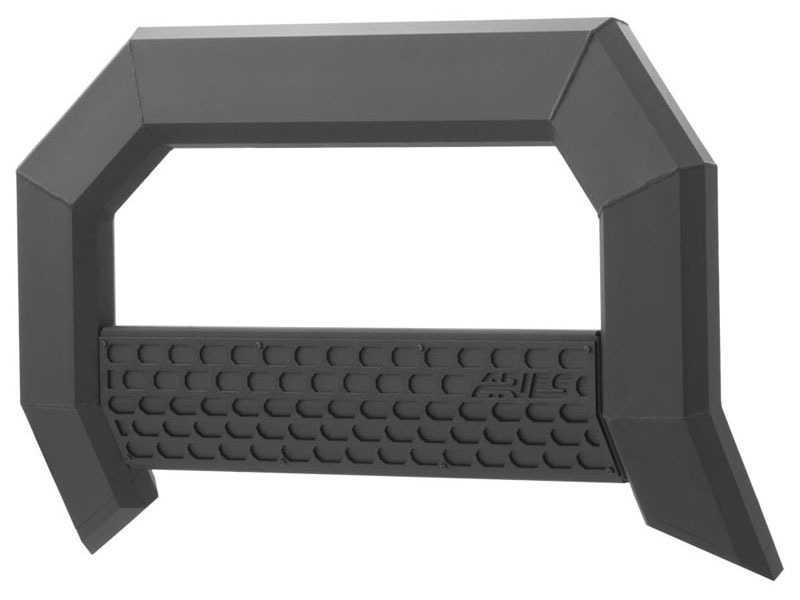 The AdvantEDGE bull bar is also fitted with a textured black aluminum octagonal grid cover plate on the crossbar, making it even more unique. The crossbar can be flipped to expose a track system for mounting LED light bars, work lights or other aftermarket lighting options. Because each application is made for a custom fit, installation of the AdvantEDGE bull bar is simple and secure. It uses a track mounting system and vehicle-specific brackets to bolt onto pre-existing factory holes in the vehicle's frame. This speeds up installation and offers maximum rigidity. 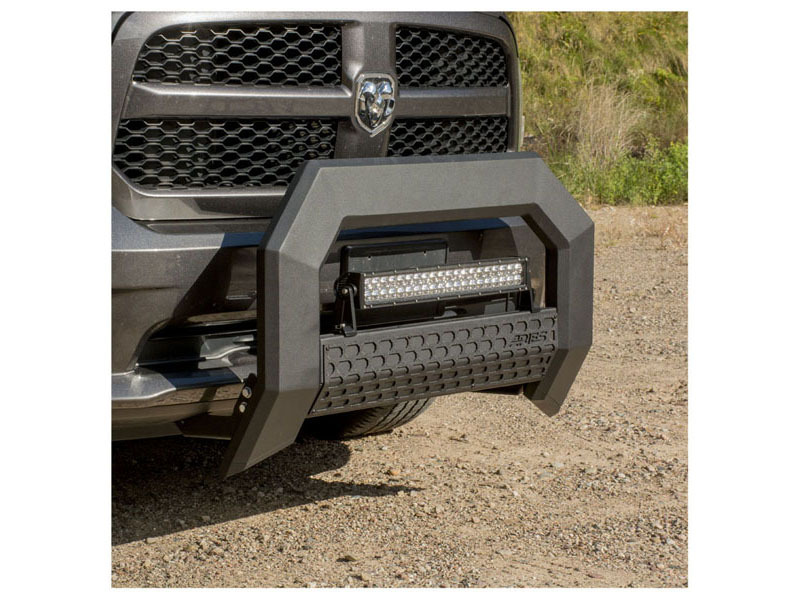 The AdvantEDGE bull bar is covered by a five-year warranty and is made to complement our AdvantEDGE side bars and AdvantEDGE headache rack, giving you a complete look for your truck and a style unlike any other.